Your feedback is very important and it will assist us in our continual efforts to improve our products and services. 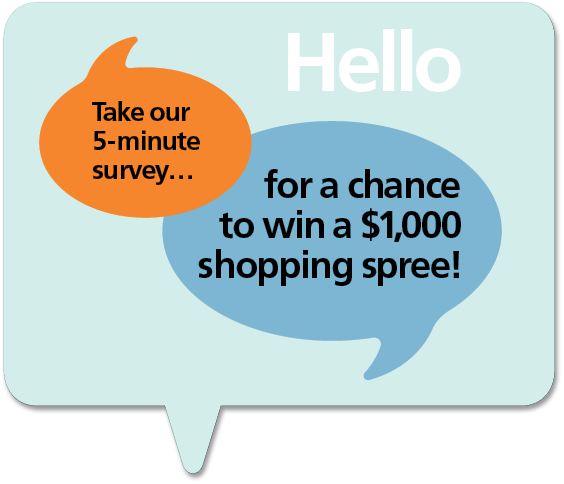 Take a couple of minutes to answer a few questions and you will automatically be entered in a monthly drawing to win a $1000 Shopping Spree. The Grand Survey works with businesses in order to help improve their products and services.